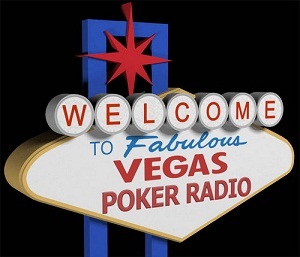 When you finish with all the cookouts and festivities this Labor Day Weekend there will be a great way to unwind each night as www.VegasPokerRadio.com will be running a 50+ hour poker podcast beginning at Midnight Sunday, to raise money and awareness for the 22Q.org Foundation. The podcast is being dubbed the “Ironman” as the show’s three hosts, Brandon Gerson, Kevin Wright, and Johnny Sep, plan to stay on the air for at least 50 hours which would set a record for the longest continuous podcast with the same hosts. The show will feature many ways for people to help the22Q.org Foundation including straight donations, but the show will also be running a charity online poker room throughout the podcast, with all proceeds going to the 22Q.org Foundation. Among the scheduled guests for the podcast are a number of celebrities from poker, sports, and entertainment, including MLB All-Star Ryan Dempster, Film Critic Richard Roeper, and a number of poker players and personalities including Norman Chad, Jamie Gold, Matt Savage, Greg Raymer, Chris Moneymaker, Andy Frankenberger, and more! This entry was posted on Thursday, August 30th, 2012 at 10:41 am and is filed under PR. You can follow any responses to this entry through the RSS 2.0 feed. You can leave a response, or trackback from your own site.